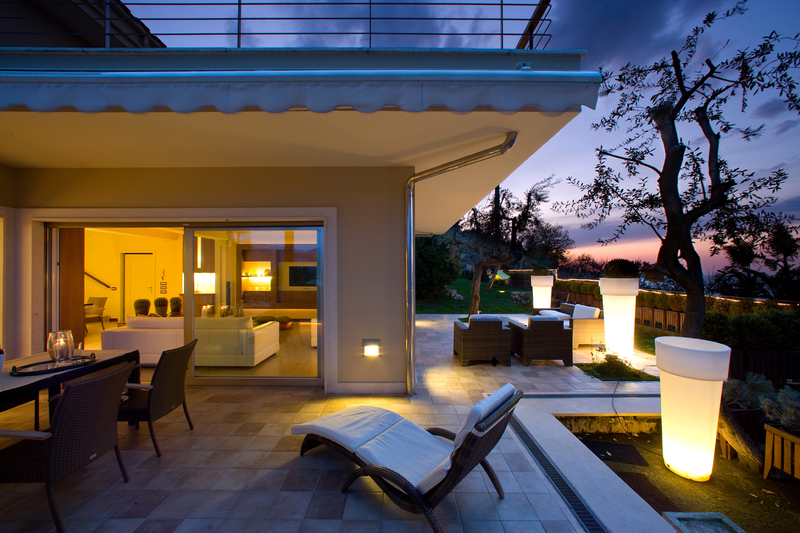 Villa Sorrento is a beautiful jewel – a true example of quality, where the trendy minimalist style meets local traditions. 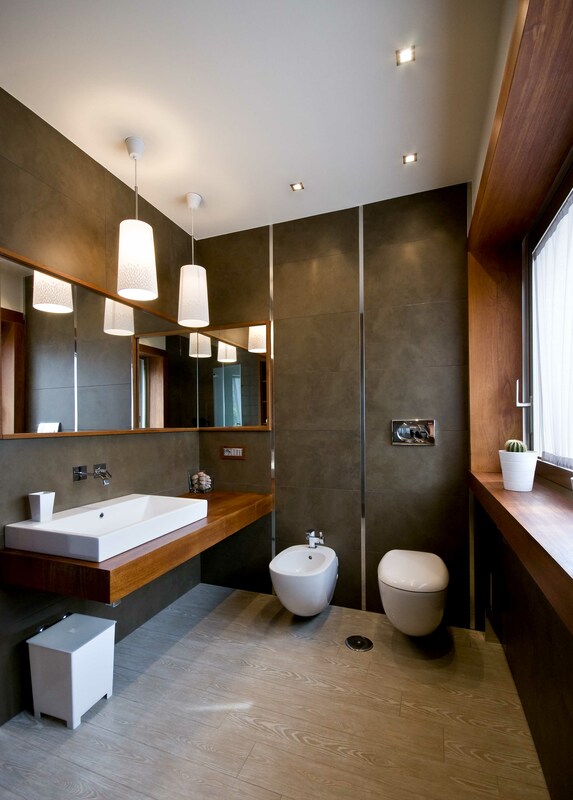 The interiors are full of light and complete in all modern comforts. Built over two floors and divided into a main area and an independent annex, the soft lightning, bright natural colours, from dark brown to cream to white, as well as its variation of materials, from ceramics to wood or textiles, shows the careful layout of the property. 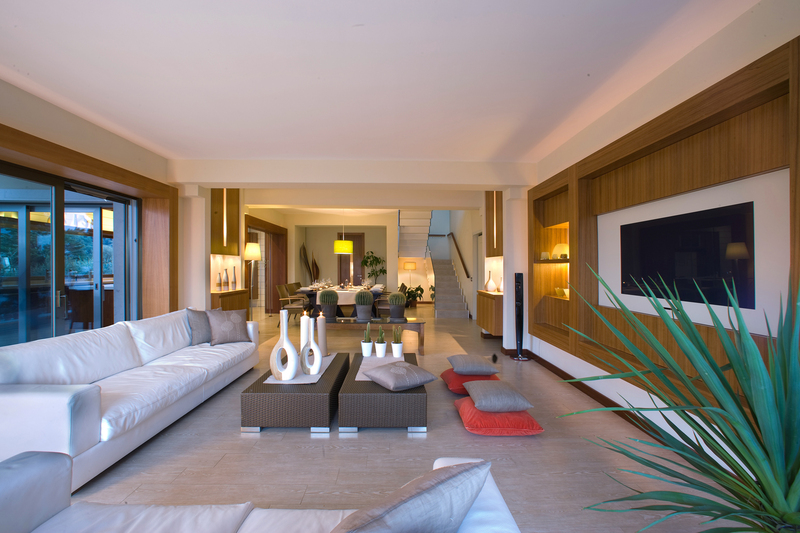 The garden and pool areas are sober and respect the style of the villas design. 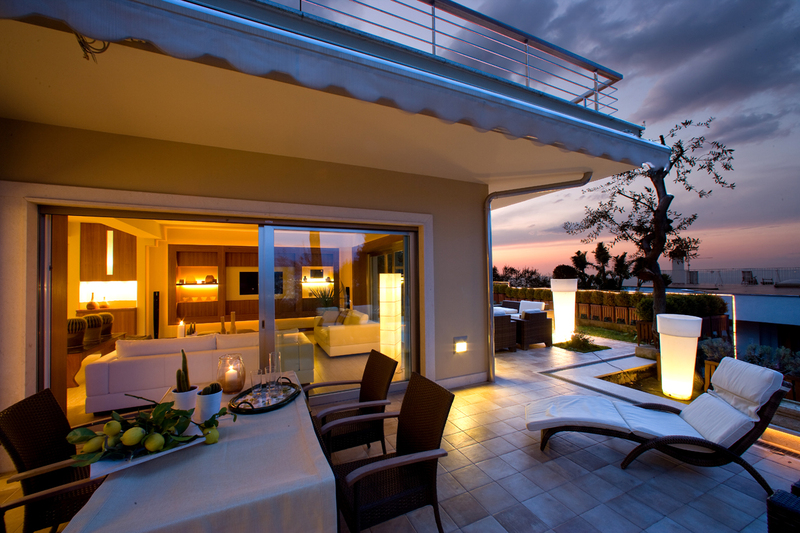 Thanks to its location, set in a panoramic corner offering both views over the Sea and the Rocky Mountains on the gentle slopes right behind the town of Sorrento, Villa Sorrento is the ideal place to relax and enjoy the Sorrento Coastal climate which is mild in the winter and fresh in the Summer. Pedestrian path down to Sorrento, 15mins walk, but steep on way back up or 5-minute drive (all amenities, shops, restaurants, train to Naples, ferry/hydrofoil to Capri/Naples, hospital) 1.5km, Massa Lubrense 6km, Positano 18km, Pompeii 37km, Amalfi 34km, Ravello 42km. Bedroom 1: Double bed, with shower room en suite, Satellite TV, Air conditioning. Bedroom 2: Double bed, (can be twin) opening to terrace with bathroom en suite with tub, Satellite TV, Air conditioning. Bedroom 3: Double bed with king size bed and en suite shower room, Satellite TV, Air conditioning. 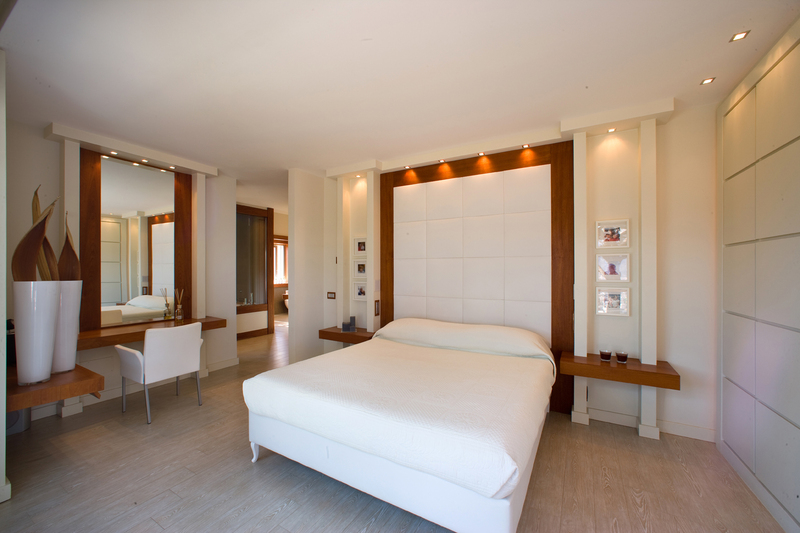 Bedroom 4: Master: Double bed, En-suite bathroom with jetted tub, Satellite TV, Wi-Fi access, Bathrobes, Hair dryer, Access to panoramic balcony. Bedroom 6: Double bed, Child’s bed, (can be twin). 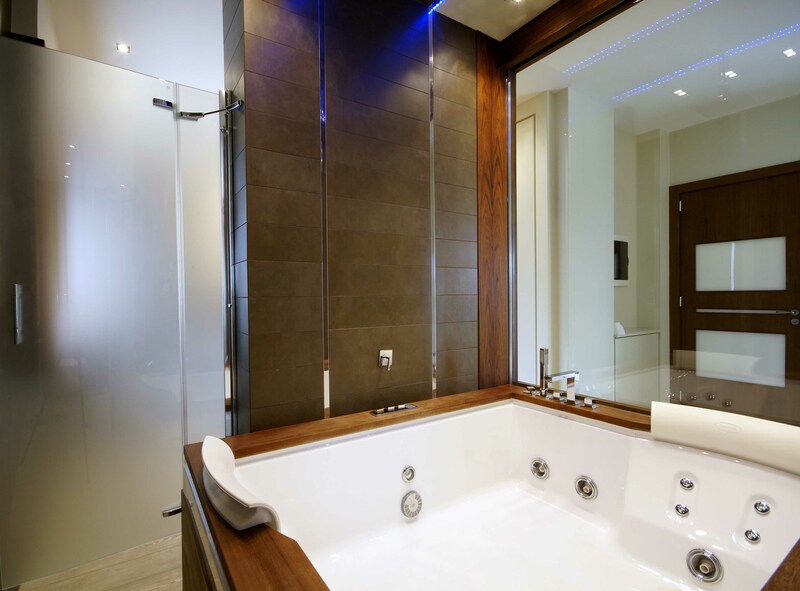 En-suite bathroom with shower and tub, Satellite TV, Wi-Fi access, Bathrobes, Hair dryer, Access to panoramic balcony. 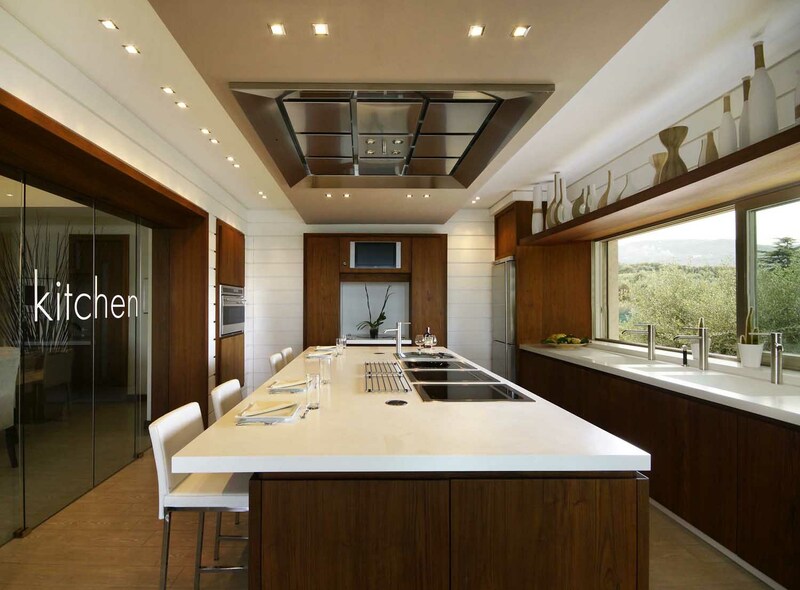 Kitchen: Oven, Refrigerators, Espresso coffee machine, Dishwasher. 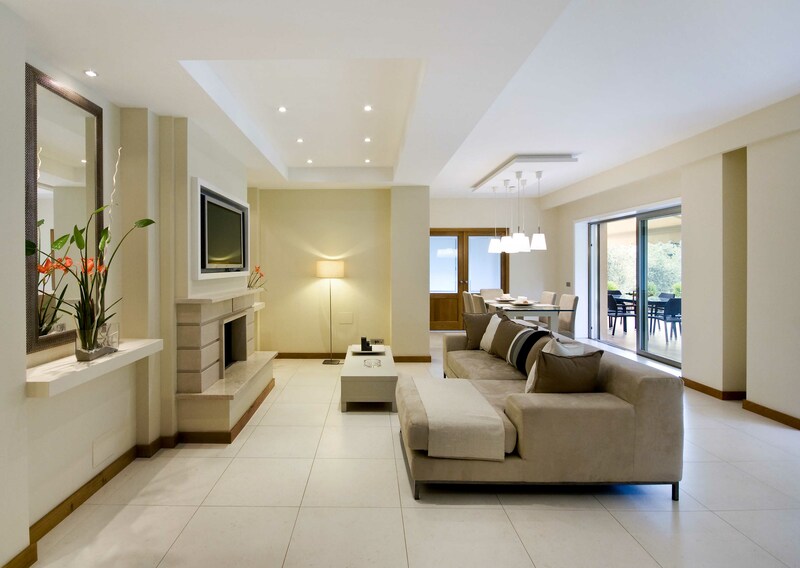 Housekeeping: the housekeeping service starts every morning at 9:00 AM and is for 5 hours per day. 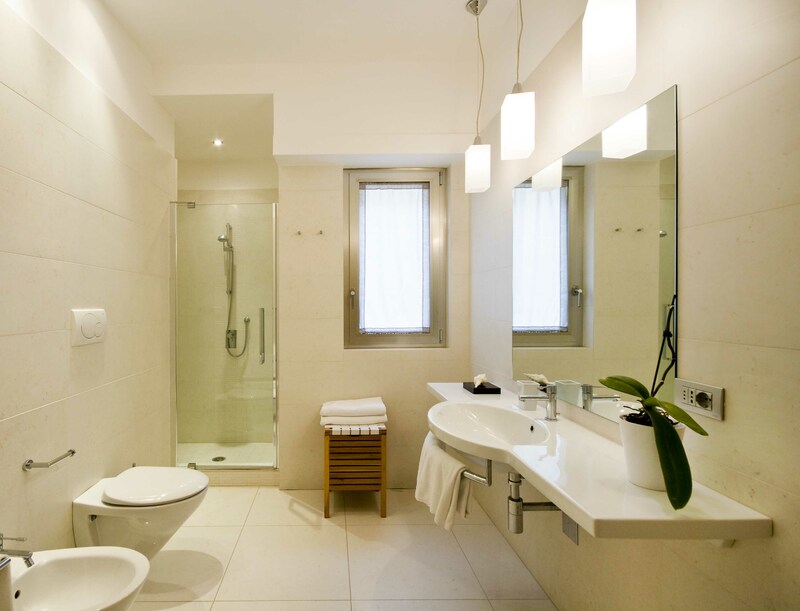 Please to plan day by day with the housekeeper if you want this service done at a different time and please to leave the rooms in time to allow the cleaning. This service is reserved to bedrooms, bathrooms ad living room only. 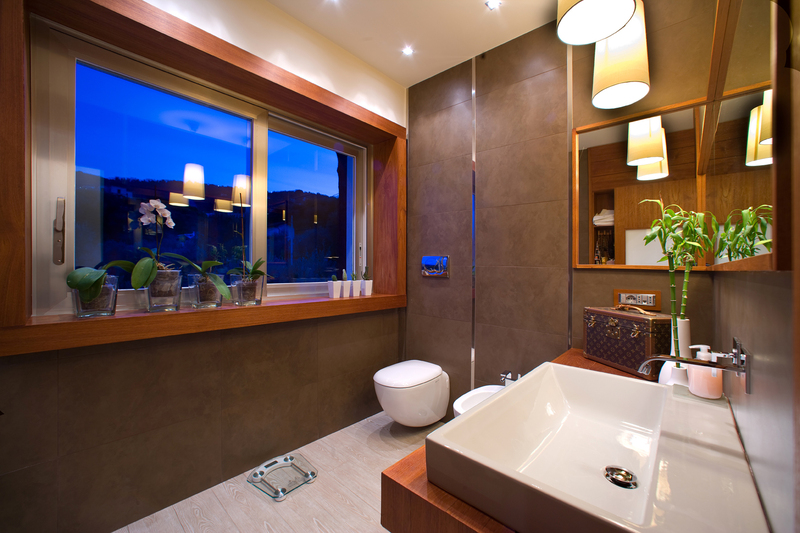 If you do not want the extra cleaning for the kitchen, you can use the washing machine below the kitchen sink. Garden and pool maintenance: the Gardner will come discreetly to the house every morning from 7:00 AM to 9:00 AM to check up on the pool and the garden. You can agree with the housekeeper what time you want this service is started in the morning. Our Suggestions: Ideal for both a group of friends or for families with children. 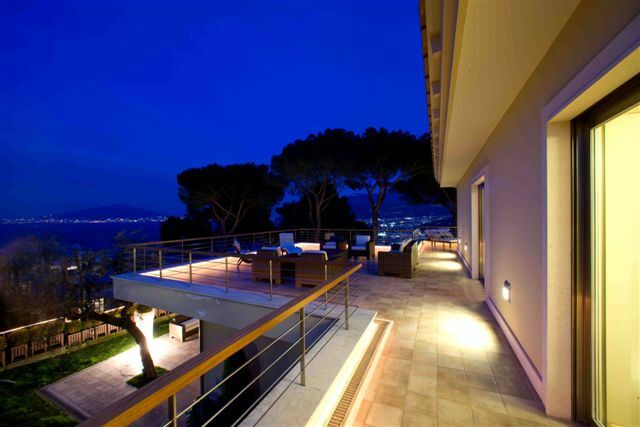 This beautiful modern 6-bedroom villa sits on wooded hill some 2 kilometres from Sorrento and enjoys panoramic views over the Gulf of Sorrento with the impressive Vesuvio and Bay of Naples. The villa is beautifully appointed and the owners have added every modern convenience and luxury furnishing to make this a superb holiday property. 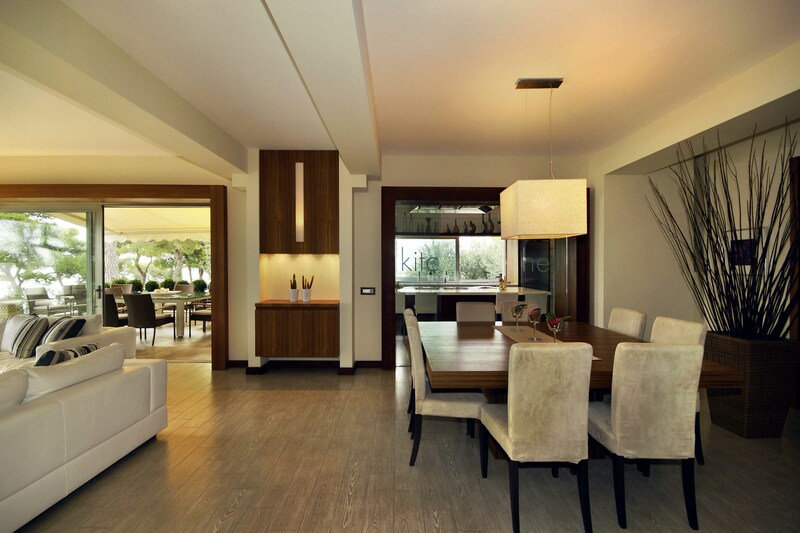 Outdoor: The villa is surrounded by a 2500 sq. m. garden with many relaxing spots. All the flowering garden is full of plants and, above all, of typical lemon and olive trees. 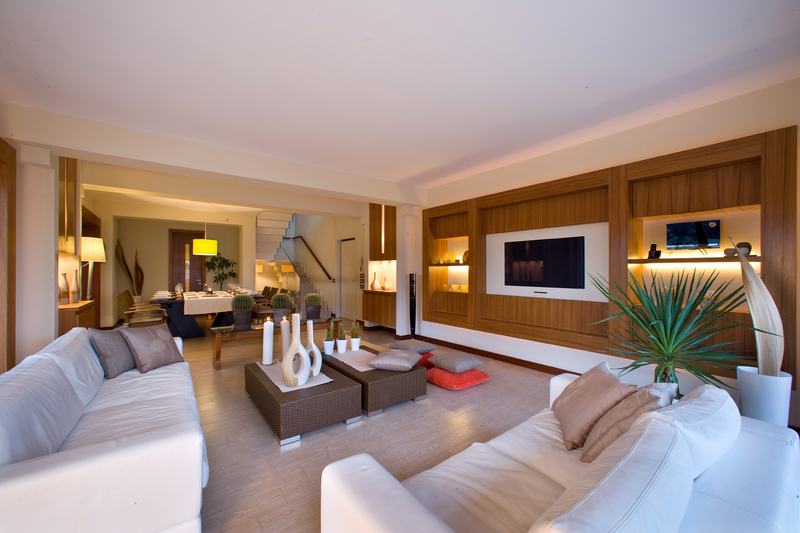 The villa has 2 stunning terraces equipped by lounge and sofa. A newest pool has just set in the garden to fully enjoys this wonderful retreat. The spacious gardens also have a dining area, tables, chairs and a barbeque and views over the Mediterranean. In the garden there is also a private parking for up to 2 cars. 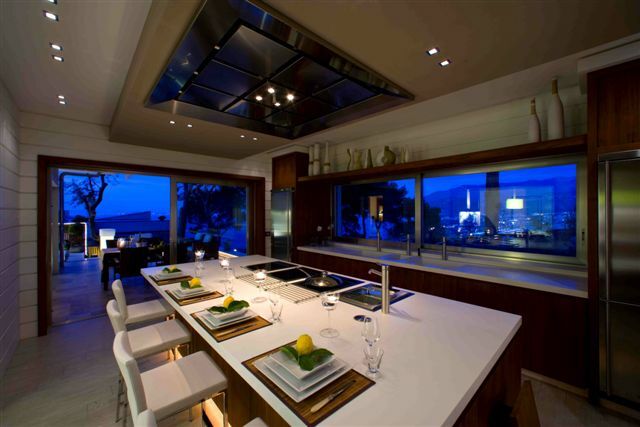 This is a very high-quality property in a much sought-after area of the Sorrento coast. 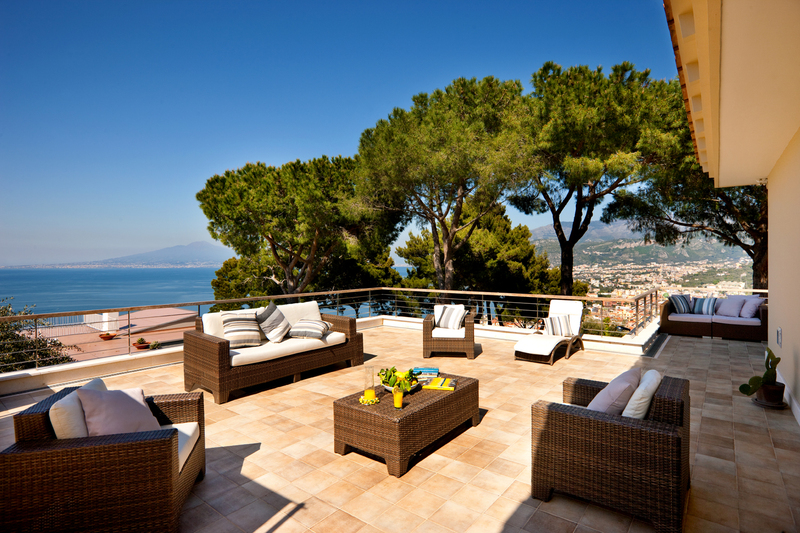 Villa Sorrento’s coveted setting is within easy reach by car of Sorrento’s great shopping, “trattorie and pavement cafés” and port for hydrofoil to Capri and Naples. 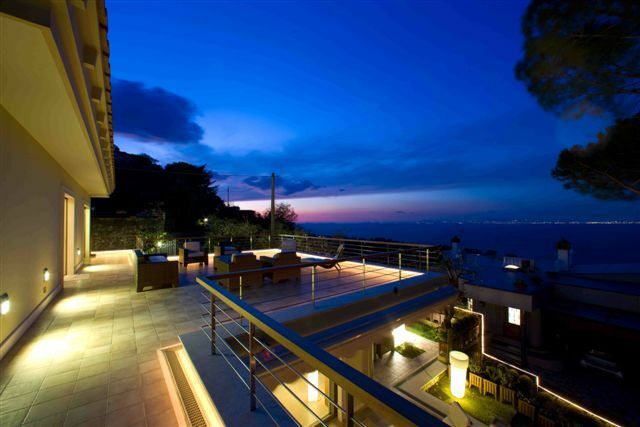 Chic, well planned and very contemporary, this luxury villa in Campania enjoys an elevated spot in an exclusive area of Sorrento, boasting fantastic views of the town and its famously scenic bay. High standards of service can be complemented with the assistance of our local Representative for private excursions, cooking lessons or motorboat cruising in the bay. Chef service, not included, could add an extra level of leisurely idleness. This is also sensational walking country with scented trails threading up through the hills to panoramic viewpoints. Highly recommended. At the entrance of main floor there is a spacious and inviting lounge offering a wonderful space for guests to be together and relax. 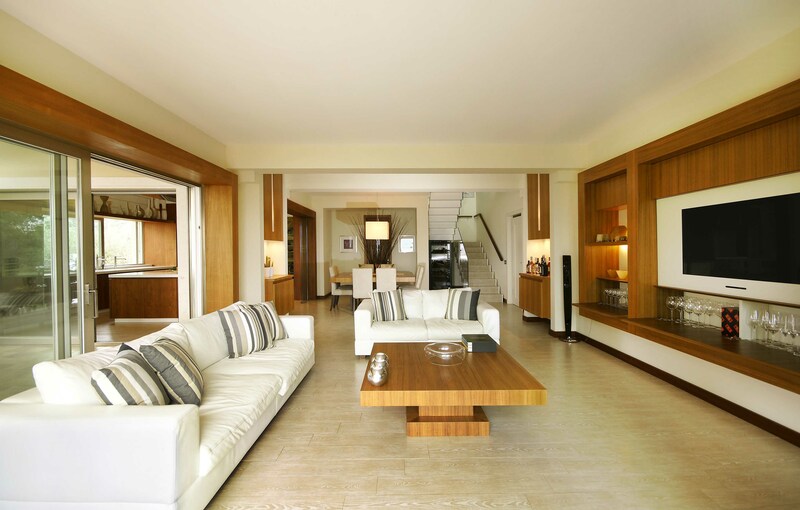 The space is cosy and welcoming and is furnished with two large leather sofas and a table, a built-in, flat screen SAT-TV and large, sliding glass doors opening onto the terrace surrounding the house. 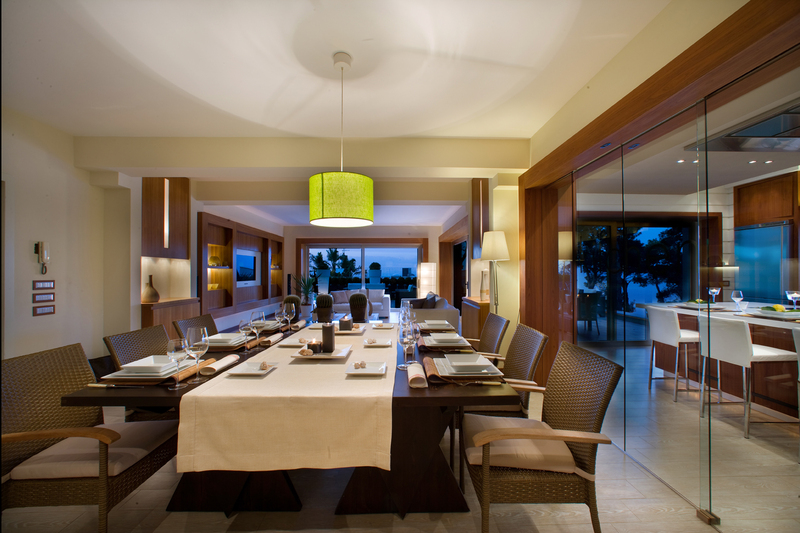 The dining room boasts a large wooden table and chairs with access to the trendy and stylish kitchen. 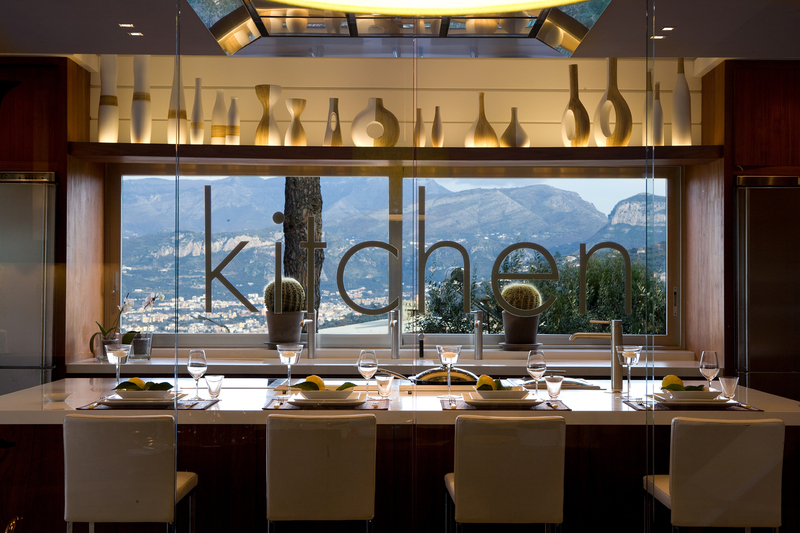 The kitchen space is extremely functional; gourmands and food lovers will love to get their hands dirty here. The space enjoys a steamer, a professional induction wok, two full size refrigerators with freezers, an oven, dishwasher, induction cooker, grill, and espresso coffee machine. The tall, elegant leather bar chairs allow a chat with friends while preparing your meal or enjoying a drink. There is also a nice wine refrigerator with a good selection of both regional and national wines as well as a storage and laundry room with washing machine and dryer. Lastly, there is a half bathroom on this floor. Both the kitchen and the living rooms lead onto an outdoor dining area with a glass table and 10 chairs, ideal for a candle-light dinner. The entrance leads also into the living room from where a sliding glass door opens onto the terrace facing the picturesque olive trees. 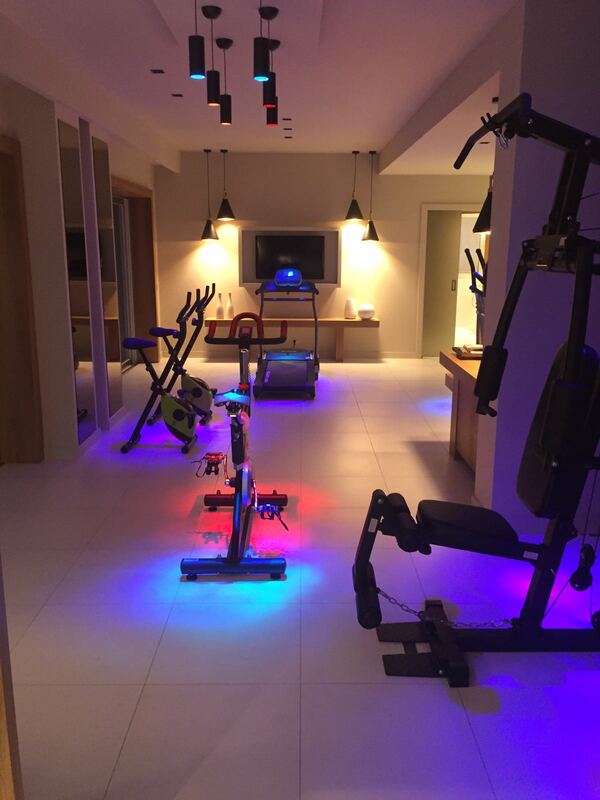 In this area we find the first three bedrooms with en-suite bathrooms, a gym area with pull-up bed (suitable for teenagers). 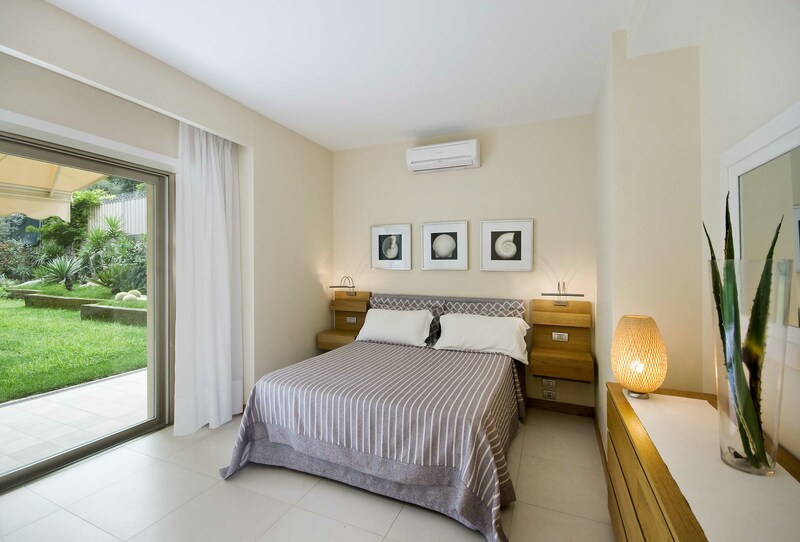 The first double bedroom on the right-hand side enjoys a built-in closet and en-suite bath inbuilt shower glass doors opening out onto the terrace. The second double room (can be converted to twin beds) also boasts and en-suite bathroom with bathtub and a window looking out onto the garden. 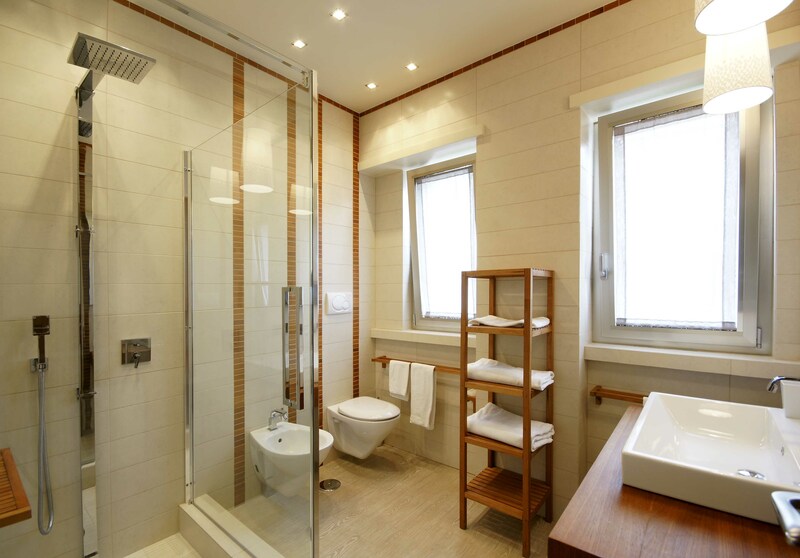 Third double bedroom with en-suite bathroom with large shower box. 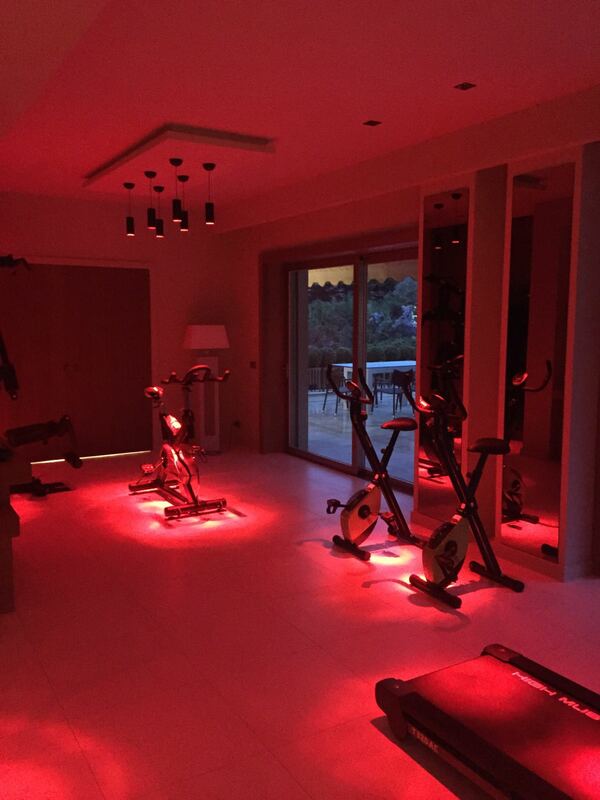 In this area, we also find gym equipment: 1 tapis-rulant, 1 multi bench, 2 exercise bikes, 1 elliptical machine. The first floor boasts the master suite and two double bedrooms, all located up a flight of 20 steps from the living room. All bedrooms enjoy a flat screen SAT-TV, WI-FI and air conditioning, as well as panoramic balconies. 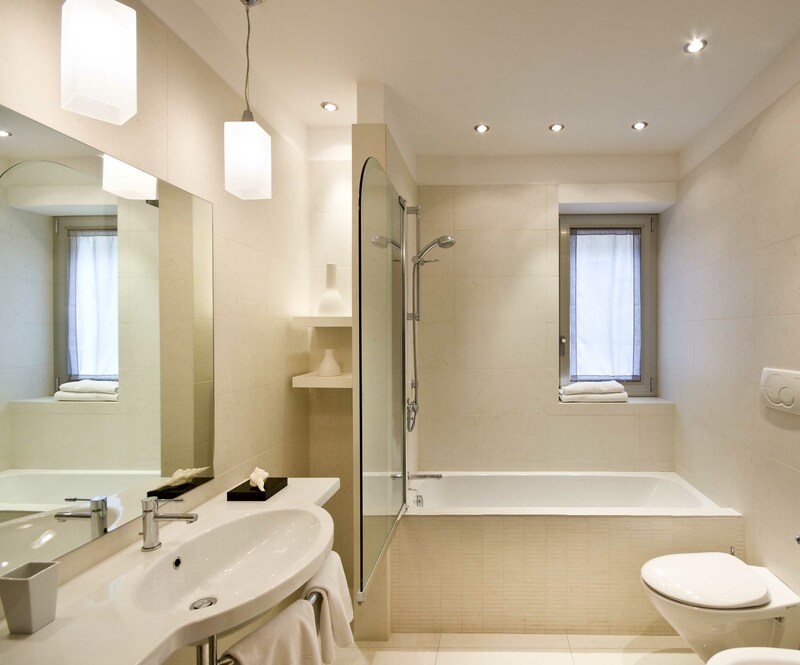 Bathrooms feature a hairdryer, high quality bathrobes, and bath linens. 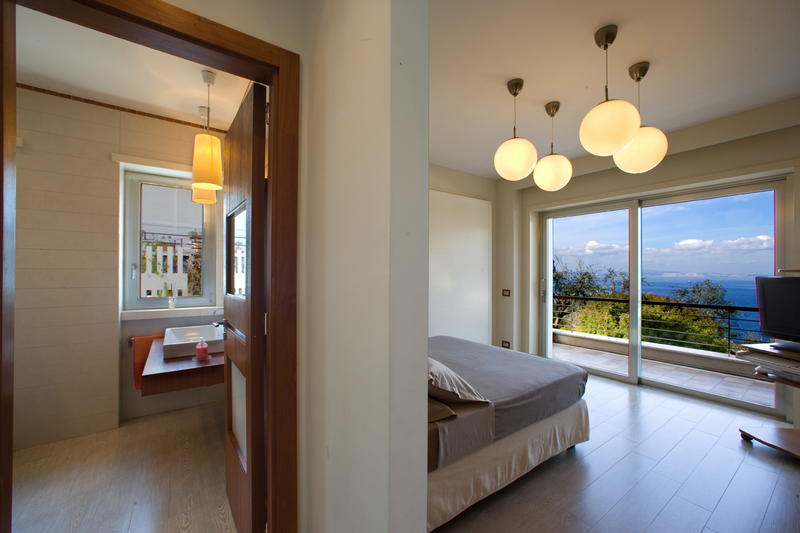 A master suite with a double bed with sliding door opens onto the terrace offering a panoramic view out over the town of Sorrento. The suite boasts a built-in closet. 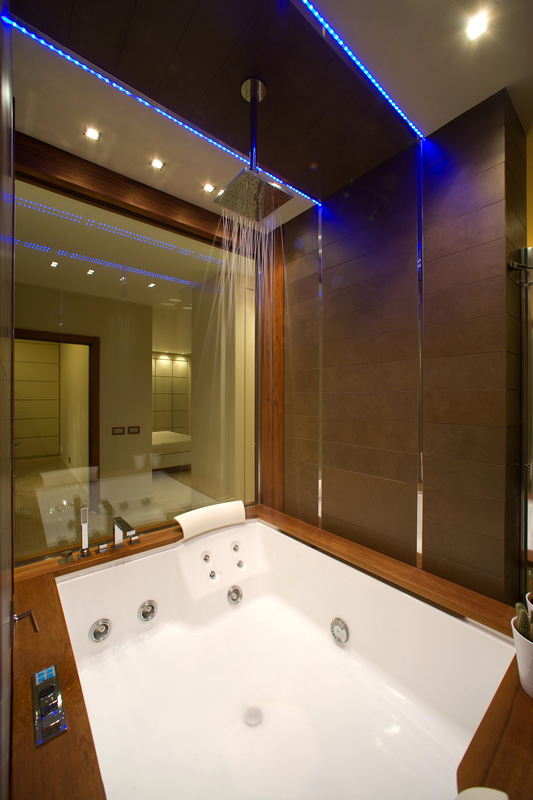 Two, private (him & her) bathrooms boast a Jacuzzi bath for two with chromatic lightning, accessible from both bathrooms. 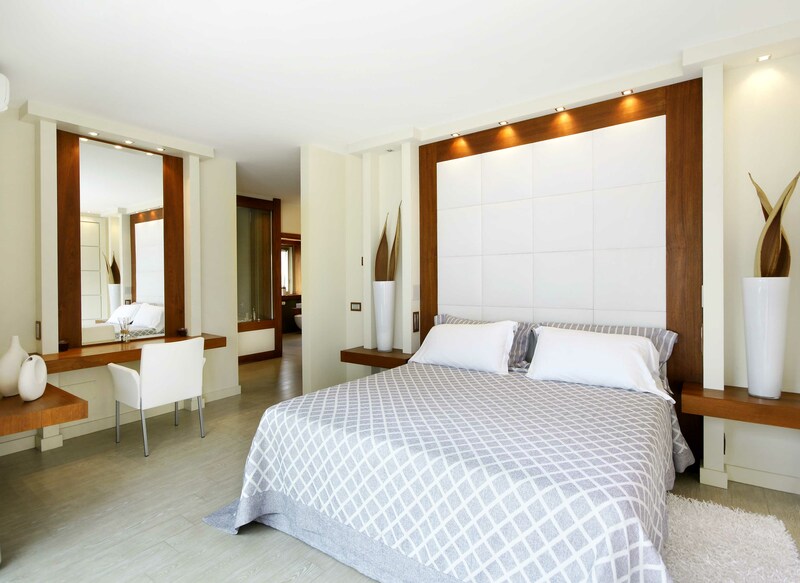 The second double bedroom enjoys a built-in closet with sliding doors opening onto a panoramic terrace. 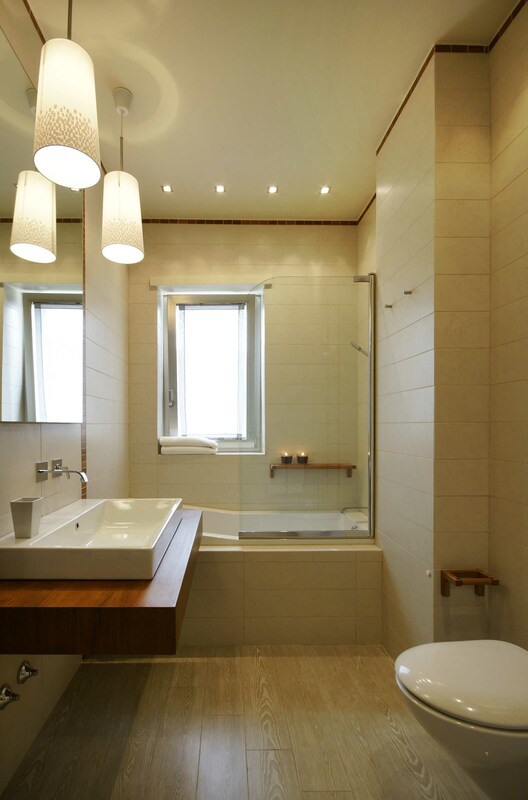 The bathroom boasts a shower. 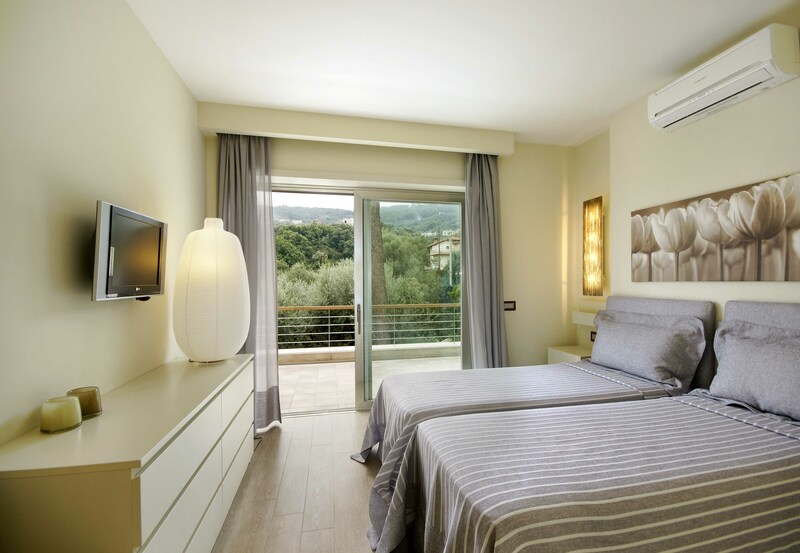 The third double bedroom (can be converted to twin beds) has a sliding door facing the olive grove garden. 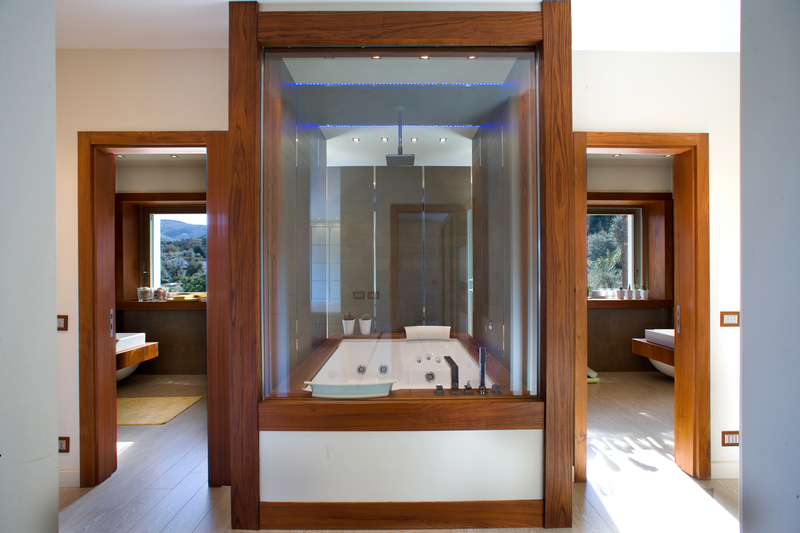 The en-suite bathroom enjoys a shower and bath tub. The terrace is furnished with sofas and large lounge chairs. The terrace is furnished with a daybed, couches, and sun lounge chairs. Please note that 6 beds sizes are 180 x 200, 1 sofa double-bed is 160 x 200. 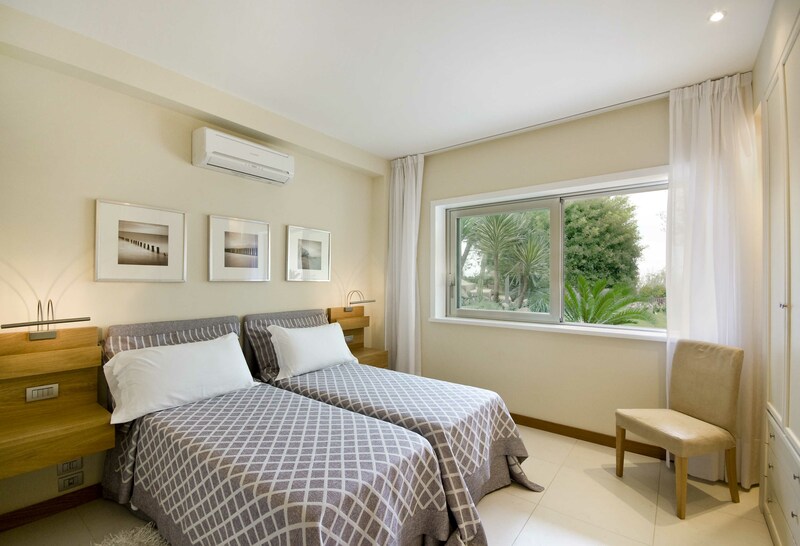 It is possible to add a single bed (suitable for a child 80 x 190) in two of the bedrooms (one on the ground floor and the other on the first floor) so the property can sleep a total of 16 (14 adults + 2 child). 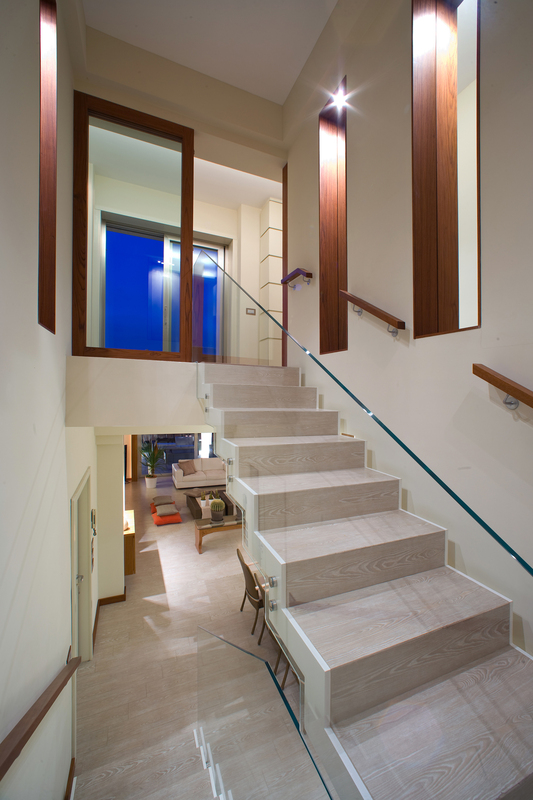 The pool and the garden are reached up a flight of 5 steps leading to the swimming pool. There are sun lounge chairs set on the terrace around the pool and the patio has been created with a shaded area with a table and deck chairs. There are olive trees, one of the fundamental elements in the beautiful wild nature of the Sorrento Peninsula, and fruit trees growing through the garden out of the plain grass. 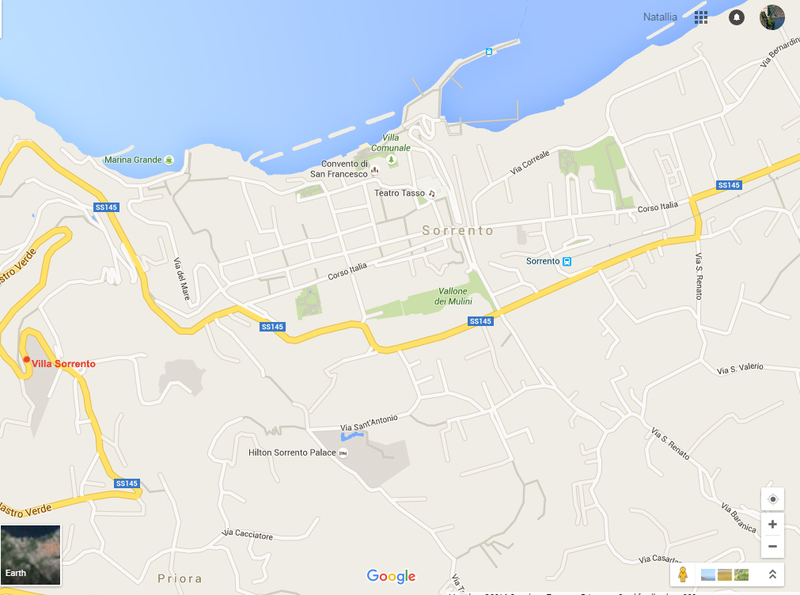 You will reach Villa Sorrento from the main entrance of the building. Car needed: For a successful stay at Villa Sorrento we recommend having a car, you will be able to park it on the premises. The parking space is suitable for at most 2 cars. Upon arrival, the Villa will ask for a security deposit of € 1.000 to be paid cash on site.